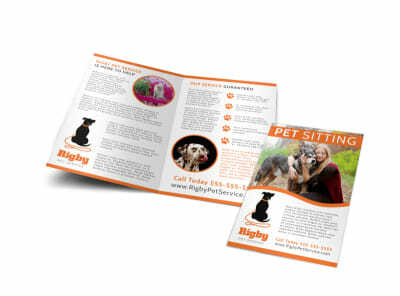 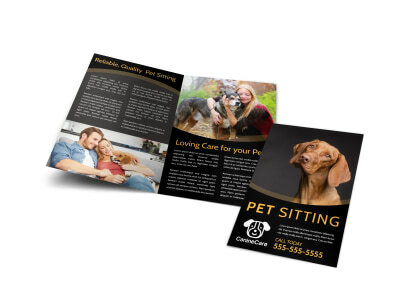 Customize our Awesome Pet Sitting Tri-Fold Brochure Template and more! 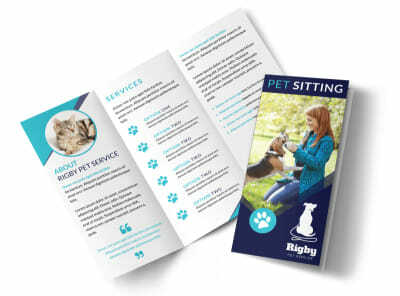 Let pet parents know they have an option when they need to leave their fur babies at home by providing the details of your pet sitting services inside the folds of this brochure. 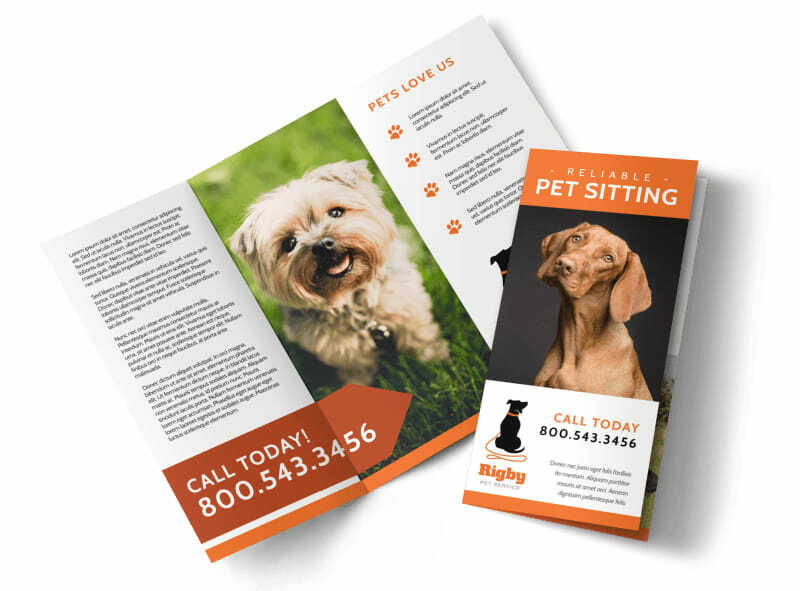 With a few easy clicks, you can personalize your brochure with adorable pictures of cats and dogs to make your details regarding your experience in pet sitting stand out.